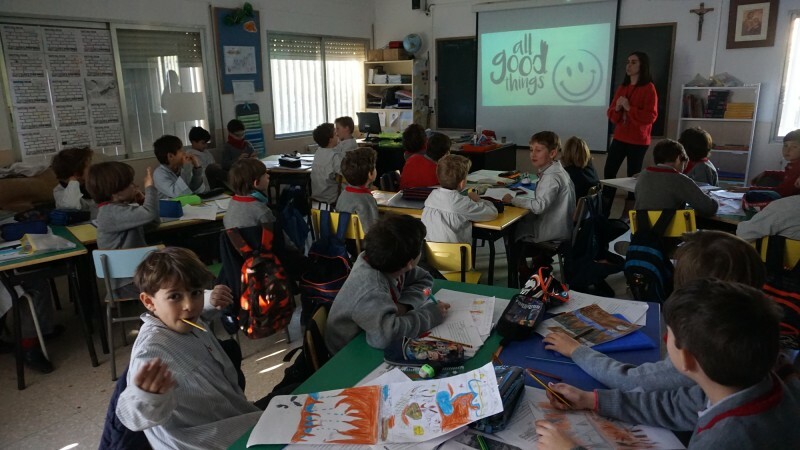 Written by : César M.,Marta F. and Claudia C.
The students of 3rd primary have just started a project called “All Good Things”. In this project students write about the good things that other classmates did. They have to write good things about their classmates on a paper, later they put them all together. 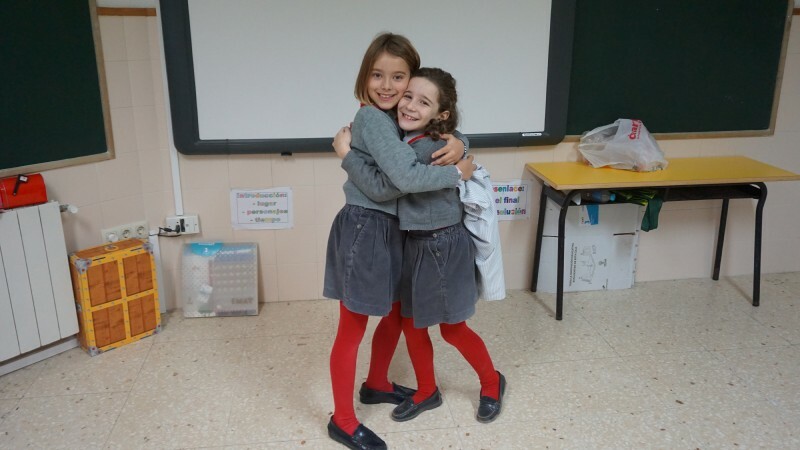 It´s a kind of game in which the children have fun at the same time they are learning important values. Like in all games, there is a winner, the winner it´s not going to be the one who does more good things or the one that it´s more popular, the winer is the one who writes more good things about their classmates. The price is chosen by the winner , for example: watch a film in class, one point more in an exam or things like that. The purpose of this project is that students find out about all the good things that their friends and classmates think and how proud they are of them for doing this things. This also brings the children closer together and that they think about each other and the good things they are doing. But the project isn´t only to help the students, the teachers are also learning from this. This project helps them to know all the good things the children are doing. Miss Mary and Miss Irene, the tutors of third grade, are the ones who make this project possible. 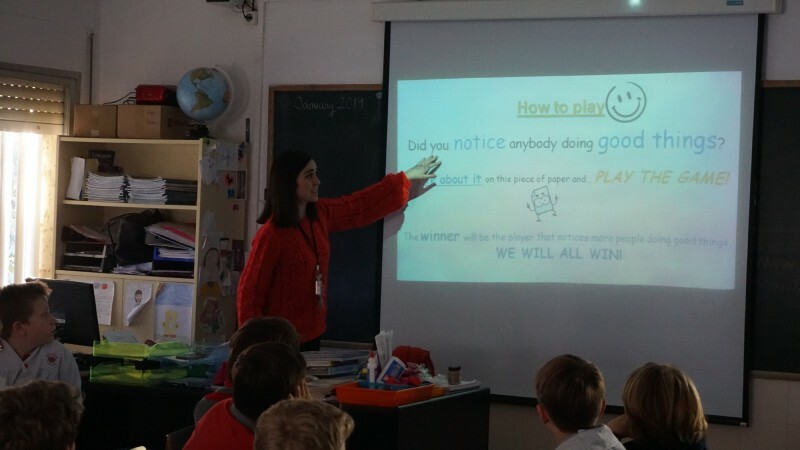 When they explained the game to their students they told us the children were very excited with the project .They´ll start next week but the teachers have a good feeling about this idea and they think it will be very helpful. We hope that it ends as well as they imagine.